Here comes the sun! 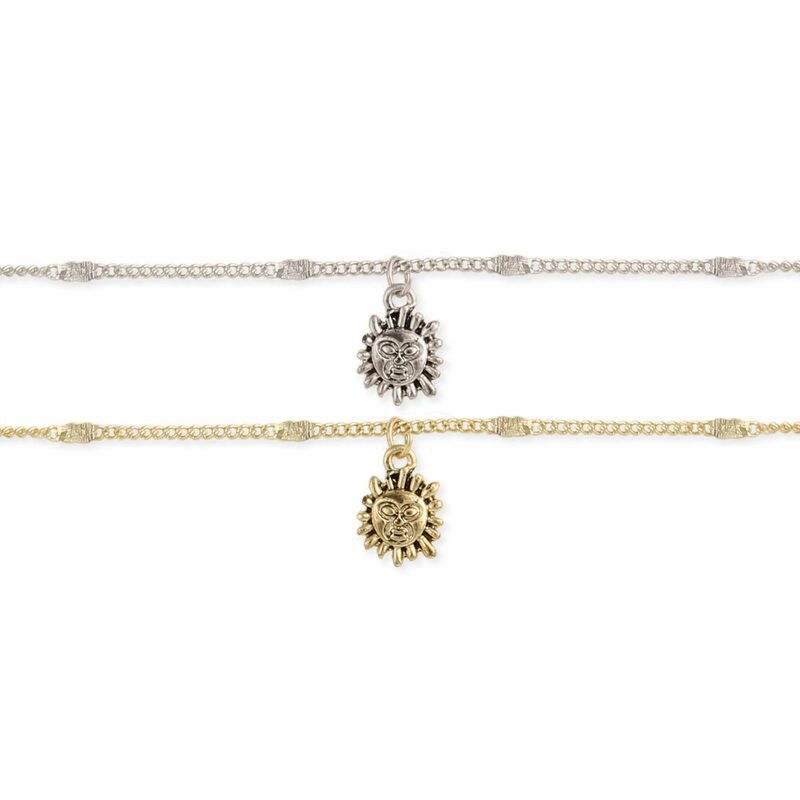 Nineties inspired celestial charm ankle bracelet makes simple statement for Summer lovers all year long. 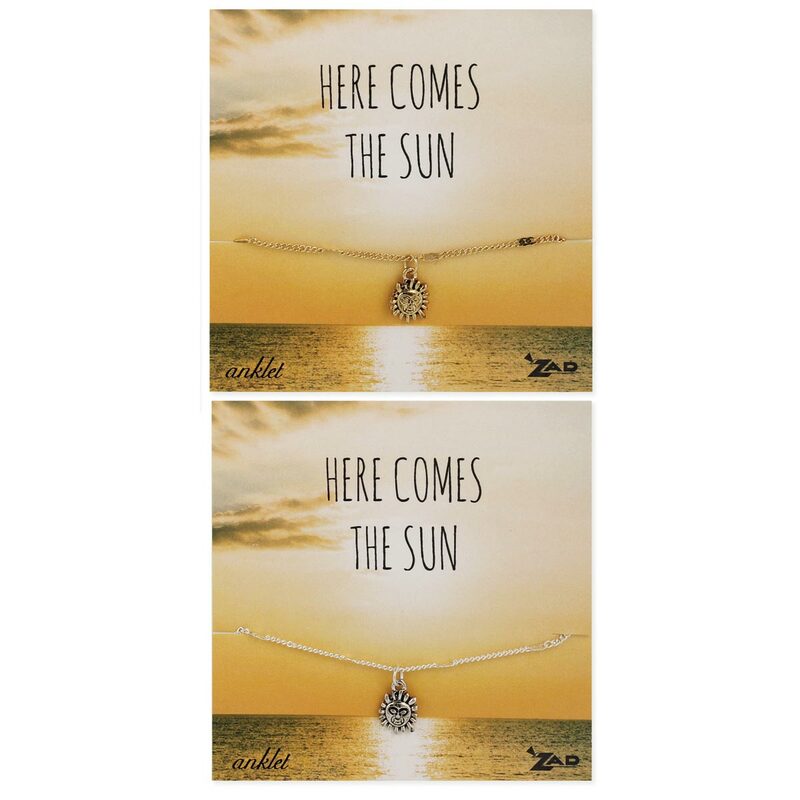 • Thin metal chain with Gold or Silver charm is the perfect accessory for the beach or the pool.